Guess what, it is SNOWING here in OK today! I woke up to a beautiful white blanket of snow outside my windows this morning. I love snow. I love walking in it, playing in it, photographing it, and just watching it glisten and fall. 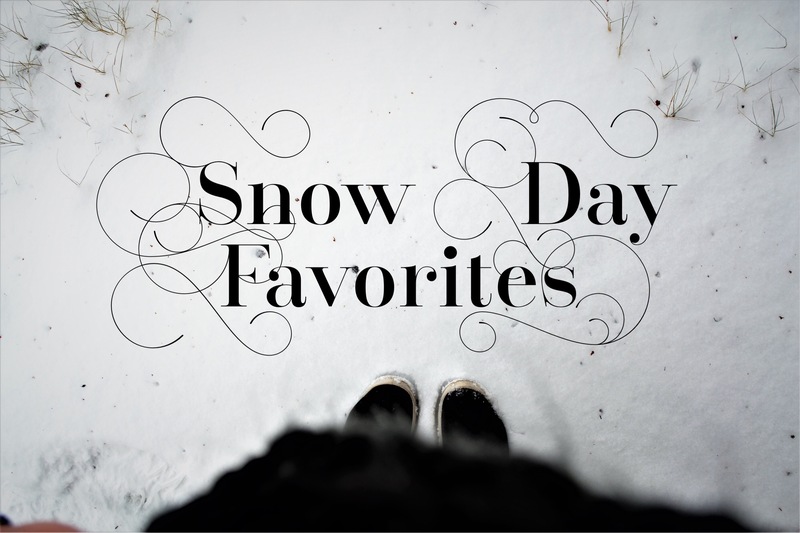 Today, in light of my snow day, I wanted to share a few ‘Snow Day Favorites’ with ya’ll! This will be a simple, short post but I couldn’t help but share it today. There is nothing better than cozying up on a cold, snowy day and watching a movie with your family. Today I am looking forward to watching Shallows and the new Independence Day movie. I love movies at any point but there is nothing like watching one with snow outside the windows. Whether you are a cider fan, coffee fan, or a classic hot chocolate lover…hot drinks are a must have on any snow day. I plan to end my night tonight with a nice up of hot tea before bed. Hot drinks are a great way to celebrate a snow day, don’t ya think?? This will be part of my ‘Winter Essentials” coming soon to the blog but I’m a huge fan of socks (especially sock booties) and beanies at the moment. Honestly, I’m a bit obsessed. But let’s face it…snow days are cold days and I seem to get the coldest on my does and on my ears. Therefore, socks and beanies are a must have! What else is there to do on a snow day besides take a nap, right? We need to stay warm on a snowy day and the perfect way to do so is to take a nice and relaxing nap. What is your favorites on a snow day?? Make sure you’re on my FACEBOOK page to see more pictures of the snow! Yes!! We rarely get much so I’m enjoying it!! !